I don't call myself a hostel person, but there were times I used hostels a lot back in my early 20ies, actually when I first arrived to Tbilisi back in 2011 I stayed exactly at hostel. Hostels are good for couple of reasons - you can meet new friends, but what's important they are cheap. Tbilisi are no expectation when speaking of cheap stay, there are dozens (if not hundreds) of budget price hostels. The cheapest ones comes as low as 7.5 GEL per person per night typically it means you will get a bed in a dorm room and in most cases will be located out of city center. 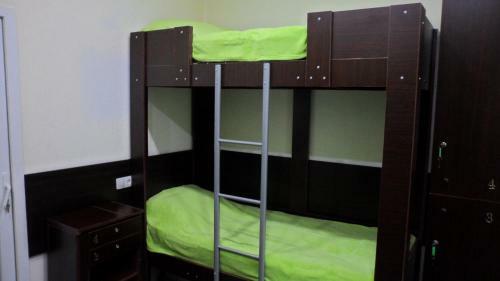 There have been two times I have stayed at Tbilisi hostels, and in both cases I was looking for a separate room, first time I got it for 40 GEL in Avlabari district, the second time I was using Tbilisi hostel located on Rustaveli avenue and it cost me 80 lari for a separate room. 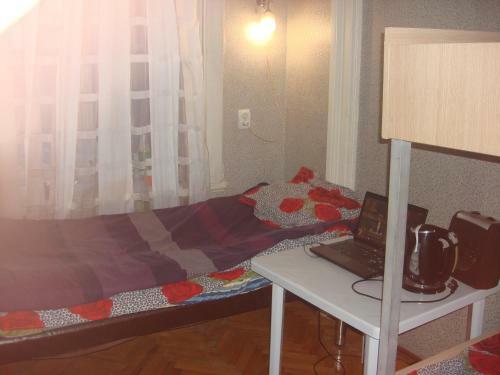 If you prefer single room - you should expect to pay at least 30 Lari for stay in Tbilisi hostel. 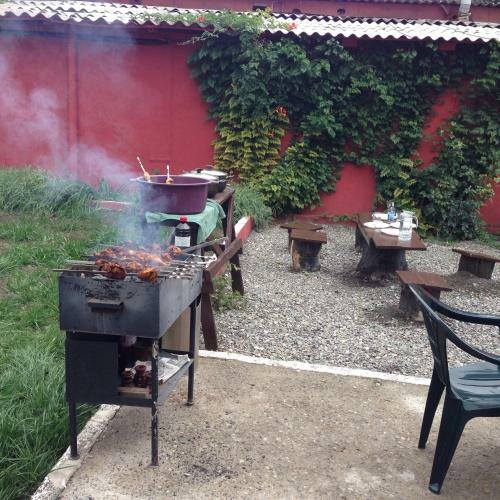 Offering a barbecue and hot tub, Mtkvari Hostel is located in Tbilisi. The hostel has a children's playground and terrace, and guests can enjoy a meal at the restaurant. All rooms are equipped with a TV. Tiflis Art Hostel is located in the centre of Tbilisi, just a 2-minute walk from the Kura River Embankment and 650 metres from Freedom Square. Free WiFi access is available. Located in Tbilisi, 350 metres from the Mardzhanishvilli Metro Station, GT Hostel provides rooms with lockers, laundry and ironing service. Free WiFi is available and the front desk is open for 24 hours. Featuring free WiFi, Grape Hostel Tbilisi offers accommodation in Tbilisi. There is a shared kitchen at the property. The nearest airport is Tbilisi International Airport, 15 km from Grape Hostel Tbilisi. A 20-minute walk from central Tblisi, Flint Hostel offers beds in dormitories and functionally furnished rooms, both with a shared bathroom. Free WiFi is available in this hostel. At the Flint Hostel a shared kitchen is also available. Featuring free WiFi throughout the property, Mini Hostel Katalikosi offers pet-friendly accommodation in Tbilisi. Free private parking is available on site. You will find a kettle in the room. 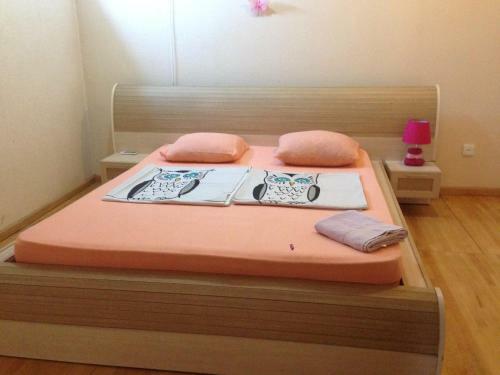 HoneyHostel is situated on the popular restaurant street in Tbilisi, and within 200 metres from Marjanishvili metro station and the Roses Park; it features a common living room with cable TV and shared cooking facilities. Located within a 7-minute walk of Ghrmaghele and Guramishvili Metro Stations in Tbilisi, Lemon Hostel offers free WiFi and free private parking. All rooms include a shared bathroom. You will find a 24-hour front desk at the property. A 5-minute walk to Guramishvili Metro Station, Comfort Plus Hostel offers comfortable rooms with free WiFi. Lake Tbilisi is 2.5 km away. The simply decorated rooms come with shared bathroom facilities. The hostel has a shared lounge area. BHM Hostel is located on the Rustaveli Avenue, a cultural and historic centre of Tbilisi, a 5-minute walk from the Rustaveli Theatre and the Freedom Square. Happy Feet Hostel offers bright rooms, and private lockers are also available. This lively, central hostel is just a 10-minute walk from Tbilisi Old Town and a 3-minute walk from Avlabari Metro Station. 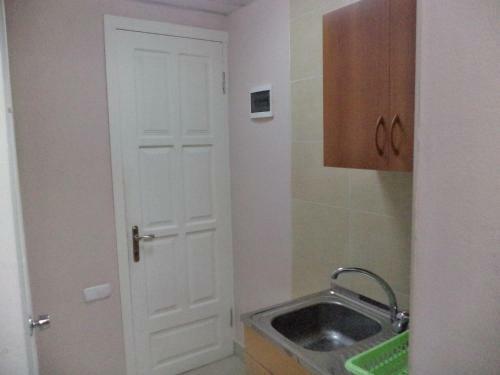 Free Wi-Fi, a shared kitchen and a garden with barbecue facilities are offered here. Sleep And Stay Hostel is located in Tbilisi, only 200 metres from Rustaveli Metro Station. Mtatsminda Park is 1.5 km away. 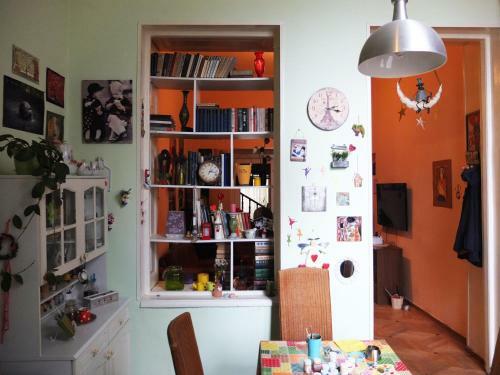 The property features bright, simply decorated rooms. Guests can use a shared bathroom. This hostel is set in the centre of Tbilisi, just a 2-minute walk from the lively Rustaveli Avenue. Free Wi-Fi and a 24-hour reception are featured at Bavly Hostel. The private and dormitory rooms offer warm-coloured décor and wooden furnishings. Located in the city centre of Tbilisi, just a 5-minute walk from Freedom Square, Saint George Hostel features a sun terrace and BBQ. With a cafe, this hostel is a 5-minute drive from Rustaveli Avenue. The simply furnished rooms overlook the city. 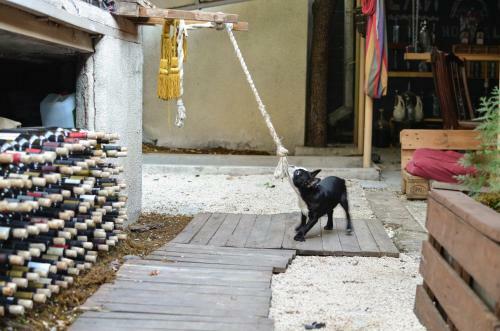 Pomegranate Hostel offers pet-friendly accommodation in Tbilisi. There is a 24-hour front desk at the property. 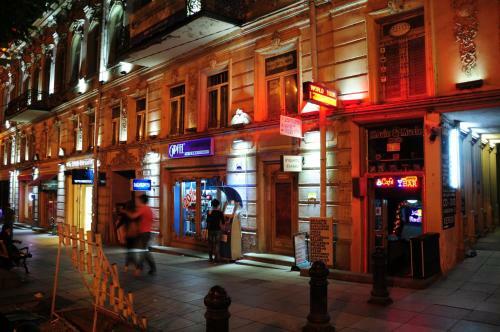 Freedom Square is 400 metres from Pomegranate Hostel, while Rustaveli Theatre is 500 metres away. Featuring free WiFi throughout the property, Hostel Neighbors offers pet-friendly accommodation in Tbilisi. Free private parking is available on site. A flat-screen TV, as well as a computer are provided. Tbilisi Rooms Hostel is located in the centre of Tbilisi, just a minute's walk from Rustaveli Theatre and 750 metres from Freedom Square. Free WiFi access is available. Each room here will provide you with air conditioning. The bathrooms are shared. 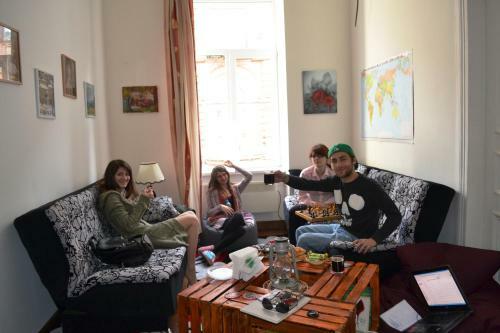 Tbilisi Friends Hostel is located in Tbilisi, a 2-minute walk from Freedom Square. Free Wi-Fi access is available. All rooms are decorated in modern style and come with a wardrobe and fan. 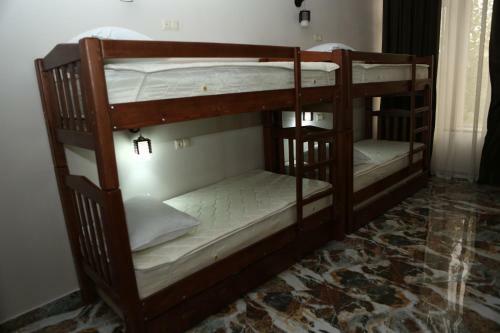 Vere Hostel offers dormitory beds, free Wi-Fi and free laundry and ironing service. 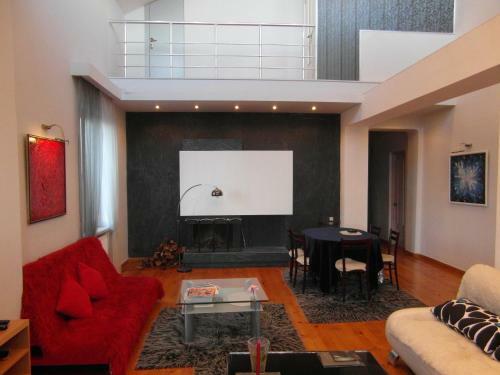 Located in the centre of Tbilisi, the property is in close proximity to its major sights, restaurants, bars and shops. Each dormitory has a cooling fan. Level Hostel offers accommodation in Tbilisi. Free private parking is available on site. Level Hostel features free WiFi throughout the property. You will find a 24-hour front desk at the property. Cozy Hostel is located in the centre of Tbilisi, within a 7-minute walk of Freedom Square and Freedom Square Metro Station. Free Wi-Fi access is available. The property features bright rooms. Guests can use a shared bathroom. My Hostel is located in Tbilisi, within a 5-minute walk of Rustaveli Metro Station. Freedom Square is 2 km away. Free WiFi access is available. The bright, simply decorated room is air conditioned. Guests can use a shared bathroom. Featuring free WiFi and a lounge area, Konka Hostel is located a 5-minute walk from the Freedom Square in Tbilisi city centre. The rooms offer a balcony and air conditioning. Guests use shared bathroom facilities. Hostel 48a offers accommodation in Tbilisi. All rooms are fitted with a shared bathroom. Hostel 48a features free WiFi throughout the property. You will find a 24-hour front desk at the property. 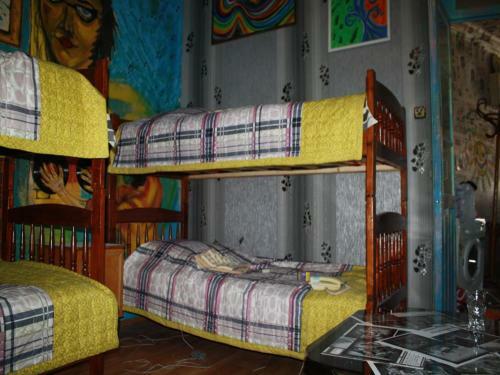 This hostel is located in the centre of Tbilisi, just a 10-minute walk from the Freedom Square. Free Wi-Fi and a 24-hour reception are featured at Nest Hostel Tbilisi. 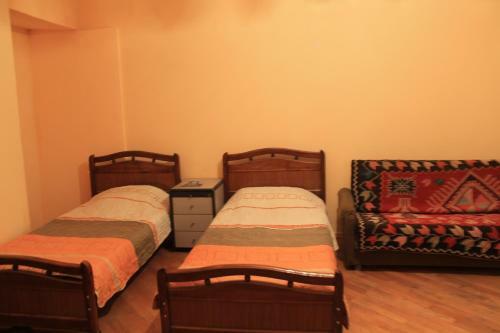 This hostel is located in Tbilisi Old Town, just a 3-minute walk from Rustaveli Metro Station. The 19th-century building has balconies overlooking the ancient Narikala Fortress and the picturesque Caucasus Mountains. Featuring free WiFi throughout the property, Rooms & Hostel by Limelight offers accommodation in Tbilisi. All rooms include a private or shared bathroom with free toiletries. There is a gift shop at the property. Featuring free WiFi throughout the property, Diwan Hostel offers accommodation in Tbilisi. Each room is equipped with a shared bathroom. For your comfort, you will find free toiletries and a hair dryer. You will find a gift shop at the property. Bunagi Hostel is located in Tbilisi, an 8-minute walk from Marjanishvili Metro Station. Free WiFi access is available. Rooms here will provide you with a seating area. Featuring a shower, shared bathrooms also come with a bath and a hairdryer. Located in the city centre of Tbilisi, a 4-minute walk to Rustaveli Metro Station, Fox Hostel features a shared, fully equipped kitchen and free Wi-Fi. 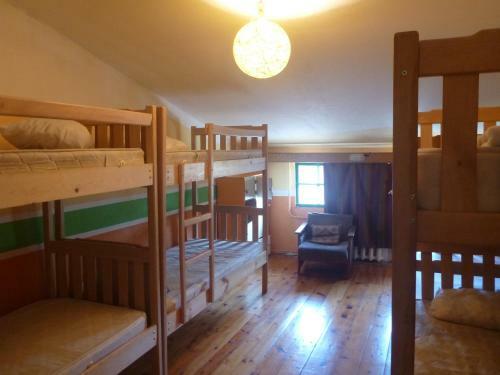 Rooms at the hostel offer towels and linens, heating, and a shared bathroom. M42 Hostel is located on top of the hill in Tbilisi, a 10-minute walk from Rustaveli Street and Tbilisi Funicular. Free Wi-Fi access is available. All rooms come with a fan, and there is also a washing machine and ironing facilities. Featuring free WiFi and a sun terrace, Like Hostel Tbilisi offers accommodation in Tbilisi. You will find a kettle in the room. All rooms include a private or shared bathroom with a hair dryer. Featuring free WiFi throughout the property, Hostel FreeStyle offers pet-friendly accommodation in Tbilisi. Each room at this hostel is air conditioned and features a flat-screen TV. Some units have a seating area for your convenience. 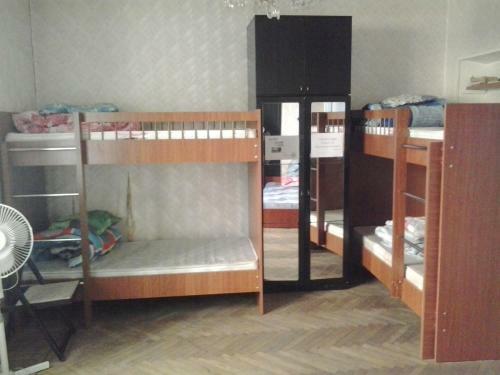 Dadiani Hostel offers accommodation in Tbilisi. Guests can enjoy the on-site snack bar. You will find a kettle in the room. 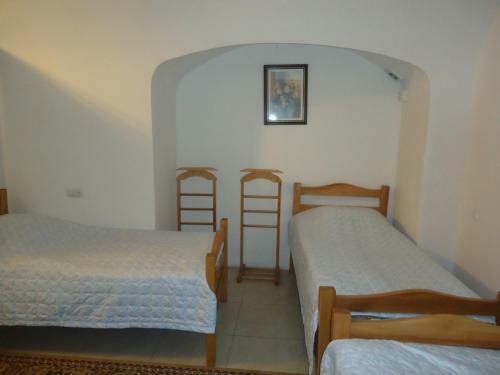 Dadiani Hostel features free WiFi throughout the property. You will find a 24-hour front desk at the property. Located in the historical centre of Tbilisi, just 100 metres from 9 April Park, Tbilisi Hostel Why Not features a terrace, BBQ and free Wi-Fi. 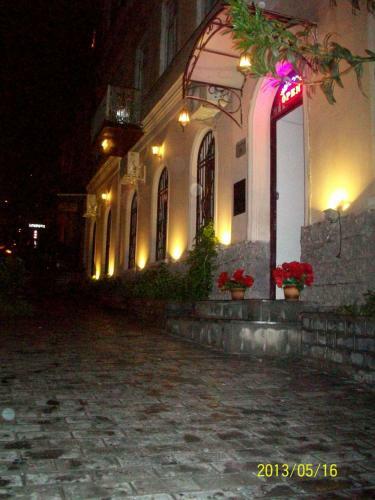 Rustaveli Avenue is a 5-minute walk away. The classic-style rooms offer a fan. Bathrooms are shared. 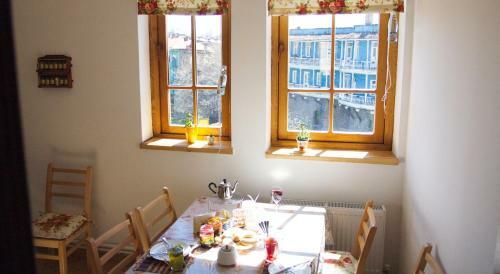 Loft Hostel Tbilisi offers pet-friendly accommodation in Tbilisi. There is a games room on site and guests can enjoy the on-site bar. Free WiFi is provided throughout the property and free private parking is available on site. 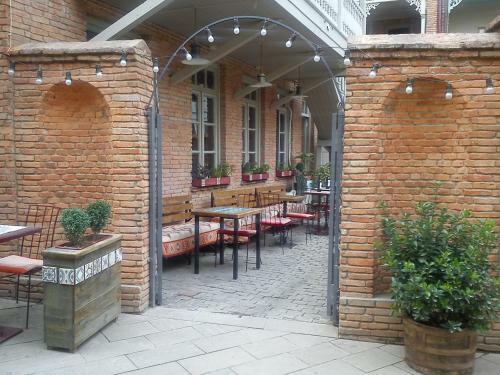 Featuring free WiFi and a terrace, Hostel Zeinabi offers accommodation in Tbilisi. Guests can enjoy the on-site bar. A TV with cable channels, as well as a laptop are featured. Some rooms feature a seating area to relax in after a busy day. Featuring free WiFi, a barbecue and a terrace, TCH -Hostel offers accommodation in Tbilisi. Free private parking is available on site. Each room includes a shared bathroom. You will find a 24-hour front desk at the property. 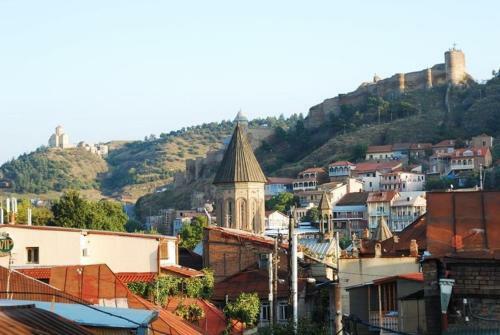 Hostel on Tabukashvili 41 offers accommodation in Tbilisi. There is a restaurant and guests can have fun at the casino. Some units have a seating area where you can relax. You will find a kettle in the room. Orion Hostel Plus is located in Tbilisi, a 10-minute walk from Dinamo Arena and a 5-minute walk from a zoo and a circus. It features a terrace. All rooms feature a wardrobe, and a shared bathroom also comes with free toiletries. Riga is located in the historic centre of Tbilisi, a 10-minute walk from Freedom Square. The hostel is 1.5 km from Rustaveli Theatre and 2 km from Tbilisi Opera and Ballet Theatre. Each room here will provide you with a TV. 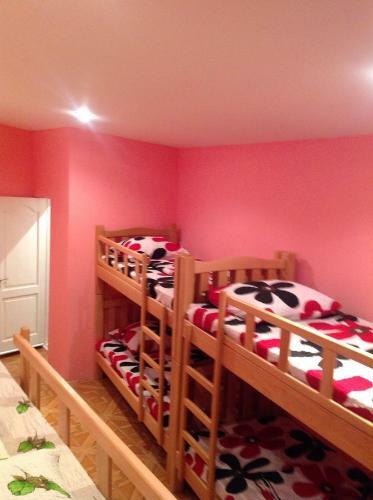 This hostel is located in the heart of Tbilisi, just 100 metres from the Sioni Cathedral. 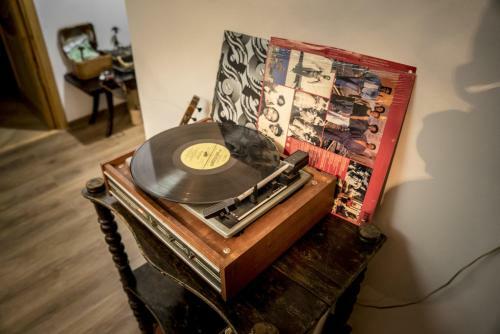 A 24-hour front desk, free Wi-Fi and unique decor are featured at Art Hostel Tbilisi. 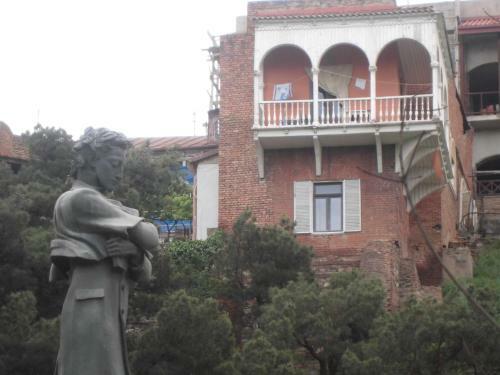 Hostel Old City Sololaki offers accommodation in Tbilisi. You will find a shared kitchen at the property. Freedom Square is 800 metres from Hostel Old City Sololaki, while Rustaveli Theatre is 1.1 km away. Situated in Tbilisi, 300 metres from the Freedom Square, Pushkin 10 Hostel offers a lounge area and free WiFi. The rooms come with shared bathroom facilities. Dvizh Hostel Eli Spali is located within 3 minutes' walk from the Tbilisi city centre, and a 5-minute walk to the Rustaveli Metro Station. 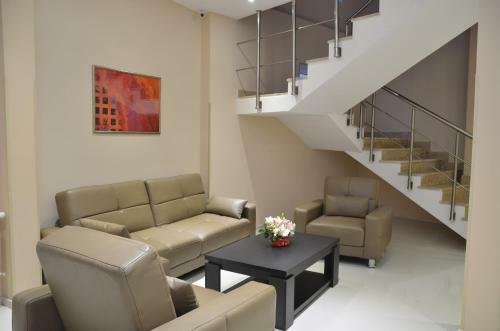 This property showcases a blend of contemporary and classic-décor and offers free WiFi access. Located in the historic centre of Tbilisi, just a 5-minute walk from Roses Park, Hostel Panda features free Wi-Fi and a shared lounge. Freedom Square is a 5-minute drive away. All rooms feature simple decor. Bathrooms are shared or private. Located 5 minutes’ drive from Tbilisi Train Station, this hostel features a shared fully equipped kitchen and a common room with a TV. Marjanishvili Metro Station is 7 minutes’ walk away. This hostel in Tblisi is situated within just 5 minutes’ walk of the Narikala Fortress and the historic Old Town district. Free Wi-Fi, a 24-hour front desk and a shared kitchen are provided. Featuring free Wi-Fi and a shared lounge, Elena Hostel is located in the historical centre of Tbilisi, just a 10-minute walk from Freedom Square. Metekhi is a 5-minute drive away. The classic-style rooms feature a seating area, desk and wardrobe. Featuring free WiFi, Hostel Anchi offers accommodation in Tbilisi. Rooms include a flat-screen TV with satellite channels. Enjoy a cup of coffee from your terrace or patio. All rooms come with a shared bathroom. 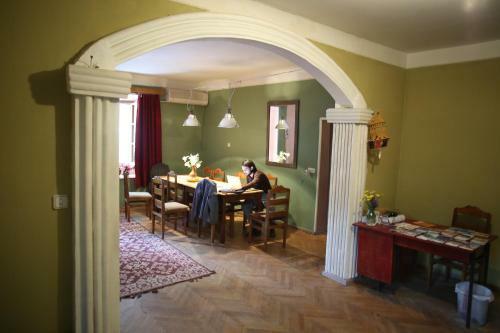 Featuring free WiFi throughout the property, Hostel Old Wall offers accommodation in Tbilisi. Guests can enjoy the on-site bar. Rooms come with a shared bathroom. For your comfort, you will find free toiletries and a hair dryer. 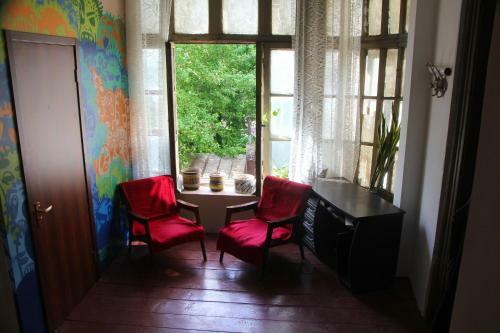 Teo Hostel is located in Tbilisi Old Town, in the Avlabari district. 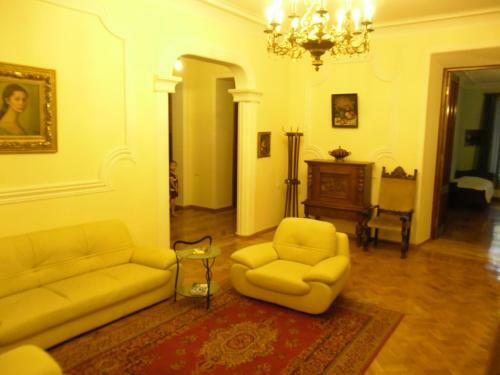 The President Palace and the Holy Trinity Cathedral are 5 minutes’ walk away. Free Wi-Fi and free private parking are provided. Featuring free WiFi throughout the property, Metekhi's Galavani Hostel offers accommodation in Tbilisi. Certain units include views of the mountains or river. The rooms have a private or shared bathroom. Extras include slippers and a hair dryer. Located in the centre of Tbilisi, just a 5-minute walk from Avlabari Metro Station, this hostel offers free WiFi, bright rooms and a great location. 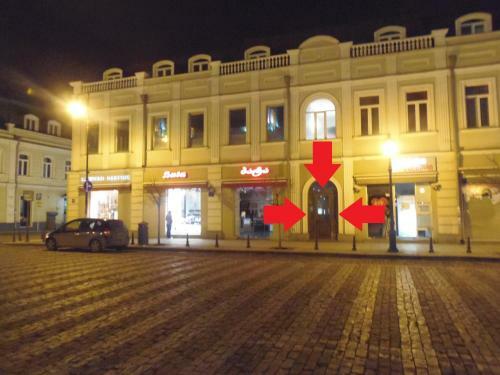 Freedom Square is just 2 km from the property and Sameba Cathedral is 1 km from the property. Located in the historic centre of Tbilisi, this hostel features a 24-hour reception, free Wi-Fi, and a garden with barbecue facilities. Freedom Square is just a 5-minute walk away. Featuring free WiFi and parking on site, Freedom Square is located in Tbilisi. Restaurants, shops and cafeterias are 100 metres away. 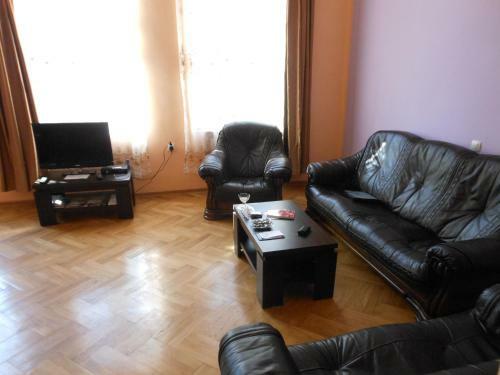 9 April Park is 200 metres away and Freedom Square Metro station is a 1-minute walk away. Featuring free WiFi throughout the property, Margo Hostel offers accommodation in Tbilisi. Guests can enjoy the on-site bar. Certain rooms include views of the garden or city. There is a hairdresser's at the property. Located in the city centre of Tbilisi, Hostel Shark is offering rooms with free WiFi access. The hostel has a 24-hour front desk. Rooms here will provide you with a TV and laptop. There is a shared kitchenette with a microwave and an oven. 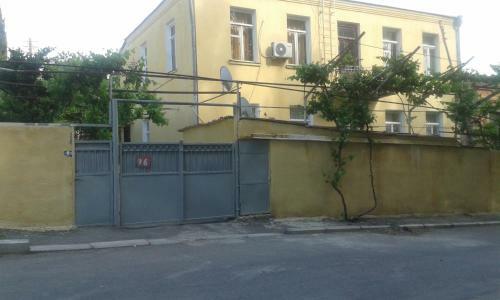 Hostel Vake Garden offers accommodation in Tbilisi. Free private parking is available on site. Hostel Vake Garden features free WiFi throughout the property. You will find a 24-hour front desk at the property. Orbeliani Hostel is located in Tbilisi, within a 10-minute walk of Freedom Square Metro Station. Free WiFi access is available. 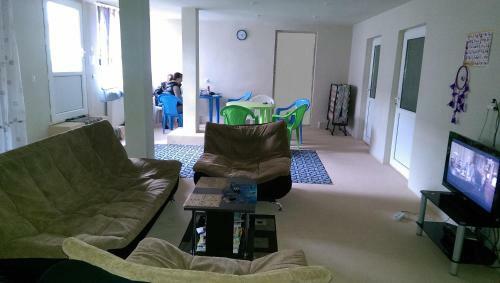 This apartment has 3 bedrooms, a study, living room and balcony. Featuring free WiFi, a restaurant and a barbecue, Liberland Hostel offers pet-friendly accommodation in Tbilisi. Guests can enjoy the on-site bar. Free private parking is available on site. There is a 24-hour front desk at the property. This hotel is located in the western part of Tbilisi, 800 metres from the Turtle Lake. Free Wi-Fi is provided at Cosmos Hostel. The bright hostel rooms offer warm-coloured interiors and classic-style décor. 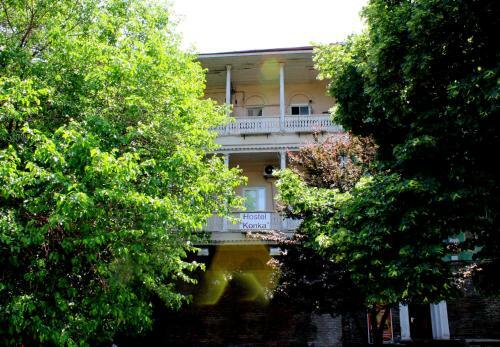 Surrounded by beautiful gardens, Tbilisi Hostel AAA is located in central Tbilisi. Guests can enjoy a terrace and barbeque facilities, and the property is located just 1 km from Station Square Metro Station. There is free WiFi throughout. GL Hostel is located in the centre of Tbilisi, a 2-minute walk from Rustaveli Avenue and a 10-minute walk from Freedom Square. Free Wi-Fi access is available. Rooms here will provide you with a TV, air conditioning and cable channels. 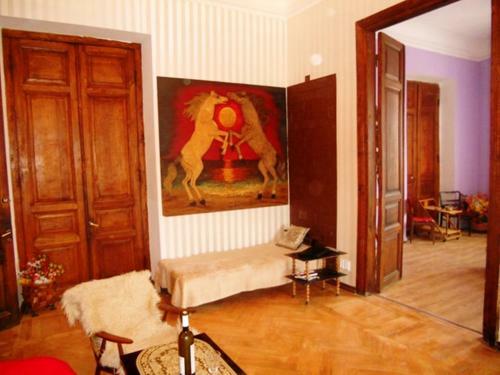 Gallery Hostel Tbilisi is located in Tbilisi, within a 5-minute walk of Tbilisi Opera Theatre. Freedom Square Metro Station is 1 km away. Free WiFi access is available. 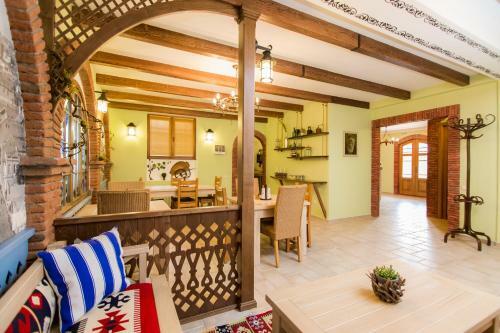 The property features simply decorated rooms. 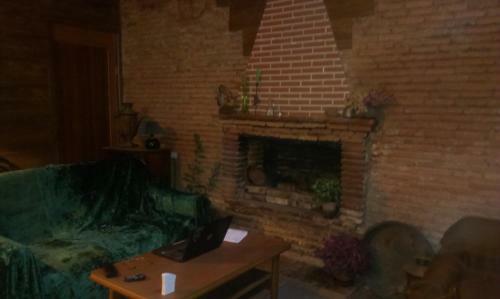 Offering a spa and wellness centre and a restaurant, Hostel From David is located in Tbilisi. Free WiFi access is available. Each room provides a TV and cable channels. Located in the centre of Tbilisi, Sololaki 7 Hostel offers dormitory rooms, a 24-hour reception, and free WiFi access is available. Rustaveli Avenue is a 2-minute walk away and Freedom Square is within 100 metres.